Hell’s Kitchen Final is Tomorrow!!! Haven’t posted on this in a while, but I wanted to remind everyone that Hell’s Kitchen will be on tonight! That and even thought I’m tired, I can’t sleep. Let’s Make Someone Famous: Blog Cabins! All right, I dropped the ball on making someone famous this week, I was so excited about writing for Film School Rejects! Anyway, this week I thought I’d give a shout out to a fellow movie blogger, Blog Cabins! Anyway, besides insanely important film reviews, Fletch also provides commentary on dvds, movies that should and shouldn’t be made, and an analysis of movies that are coming out! The latter is known as TGITDNMAR. Classic. Some other recent stuff includes an interesting analysis on the poster for the Game Plan, and some insight on one of the first movies my family owned, Kindergarten Cop! One of this other articles that I really liked was on Full House. Could this be made into a movie! Visit Blog Cabins to find out! Well, that’s all for now. Let’s congratulate Blog Cabins on becoming famous by taking a gander over to his blog! Disclaimer: Becoming Famous, while awesome, does not guarantee any results. I’m working on methods of getting these peeps tons of hits, so bear with me! There have been a ton of Superhero movies coming out recently. Superman, the Spiderman Franchise, Fantastic Four, and the upcoming Iron Man movie. There is one franchise that has been hotly discussed and debated online, even though many have yet to consider it as a potential movie: Green Lantern. Jack Black is reported to be very interested in this franchise. From forum, it appears that there is potential for a movie to be made by 2009. While it has not been cast yet, there are many potential candidates to play the various Green Lanterns, and the obvious Justice League characters that would be present in the film. So who could possibly play the Green Lantern? There is a lot of speculation about this. Personally, I could see Ioan Gruffudd playing him. You might remember Gruffudd as Mr. Fantastic from Fantastic Four. So he’s got an advantage there in that he’s already done the whole superhero thing. But there have been more than one Green Lantern. I see Gruffudd as Kyle Rayner. So how about the other two? 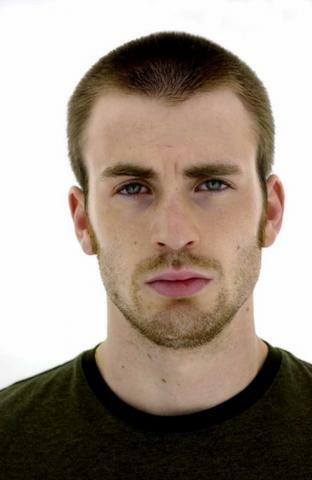 I think Chris Evans (from Fantastic Four as well) looks like a good Guy Gardner. What do you think? 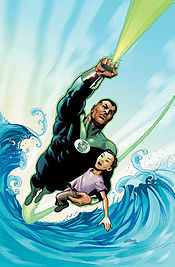 How about for John Stewart? I was thinking maybe Laurence Fishburne, but then that wasn’t it. I can’t quite think of the name, but I’ve seen him in some movies before. Maybe you can check out the image below and help me out…. If you can think of someone, let me know and I’ll add it in, and give you credit for it! I really think this is a great idea, and so do many others. Are you hearing this Hollywood? We want a Green Lantern movie! Hopefully you’ll deliver by 2009 as predicted. Now I’m not an expert on the Green Lantern, and I know there are plenty of other people out there who are bigger fans than I am, but you can’t disagree that this could be the next big superhero movie… it’s just got to get made! If we can get the word out there, then maybe hollywood will listen! Who knows, stranger things have happened before right? Well, if you agree, feel free to pass the word along, either on your own blog or by any other means you can think of. For anyone looking for a trailer… here’s what we have so far…. How Much is Your Blog Worth: The Return! Well, I’ve decided to bring this back. Things have changed since I’ve picked up the new domain. As some of you may know, this little quiz is based on your technorati ranking. Unfortunately, technorati does not change your ranking when you updated a domain name. If you didn’t know, I’ve recently changed the domain of this blog to www.intermissionatwork.com. I figured this would be a way to keep me dedicated to this! If you haven’t already, please update my link if you have the chance! Matt, you’re in the lead once again! I will try to catch up to your greatness again. Has anyone else had a positive result since the last time they checked their blog? Let me know how you’re doing, maybe we can post our results or have a friendly contest, lol. Just an update here on Blogrush. As you can see from the little image here on the side, your links actually do appear on other people’s blogs! I found this one at Chaseblogger’s website. So if you’re looking to promote your website, this could be a decent way to do it. I haven’t generated any clicks yet, but it could happen, especially with more exposure. So give Blogrush a try if you’re looking to get the word out there! Sorry, I was just excited to see my link actually appear here… heh. I didn’t think it would actually work.. but I guess it does show up. Now clicky click! More interesting news that is not enough to create a new blog post about. Today is International Talk like a Pirate Day! I saw this on my work schedule (company wide) and thought that it was just a huge joke from the kids over in development. Then I headed over to digg and saw it there. I almost hit the floor laughing! Y’ar Mateys! Let’s Make Someone Famous: Whatagem! I’m gonna focus on the one that I found from her first, You Only Thought You Were Funny. Quite a name huh? I really like it…makes you think twice about yourself before you even start reading and chuckle. Another thing I like is how personal her blog is. Recently she’s been blogging about a knee surgery that her husband has been dealing with, and how difficult it is. I mean, she couldn’t even get out to see Superbad! As always, let me know if you’d like to be famous! I’d be more than happy to write something for you! Also let me know if you like the redesign on this page! Let’s Make Someone Famous: Mrs. Mandypoo! We’re off to our second edition of making someone famous. This week, we’ve got Skittle’s sister, Mrs. Mandypoo. Mrs Mandypoo actually has three different blogs, one by her name, one about recipies, and one about her new baby, which will be updated after he or she is born! For the purpose of this though, we’ll focus on her main blog, the one by her name! Mrs. Mandypoo’s got a lot going on in her life! She writes about so much stuff. As I write this blog entry, she’s written a blog about one of her favorite TV shows, Scrubs! About to be a new mom, she offers quite a few looks at things she may be getting, such as beds and clothes. She’s also introduced us to a few other members of her family. Overall, she’s got a great looking site, with a nice custom header, and a bright theme. Very upbeat, and fun to read! She’s also got a really cool animation showing the progress of her pregnancy. Always a good read, I stop on by expecting to laugh or smile, or to find a video to watch! She’s also tried several monetizing methods on her site, like mine! So let’s head on by and give Mrs. Mandypoo some congratulations on becoming famous! Again, let me know if you want to be featured! She was the ticket taker? No.. we don’t have too much time on our hands. What are you talking about? We needed a ticket taker! You don’t want to be greeted on your way in? Of course you do. We got some nice looks out of it. But of course, she doesn’t quite match the look. You can’t have someone coming in to work wearing that! She’s gotta look more professional. More movie theatre professional that is. Hmm.. how are we gonna do this? It was kinda tough, but we managed to do it. Before I get to that though…. Thanks to Adsense Tracker for the boost in traffic I got yesterday. I guess Stumbleupon is a pretty good source of traffic. I wonder if it is better than Digg. I don’t know. Regardless I just had to take one look and bam, my hits were way up once I got stumbled. Maybe I will help stumble some people too! Has anyone used it before? If you like something you see here, Stumble It! I’ve even made it easy with tags near the bottom of my post! Right near the comments! Cmon! Anway, back to what we were doing. We had to make her fit the image that we’re trying to give here at the theatre. What do you think? That uniform looks great on her! I actually had a few people who thought she was real.. lol. Unfortunately, I didn’t get to watch any of the movies last night. I heard that Halloween is pretty F’d up, and from what I saw of Death Sentence, it looks really good. It was really loud when I was in there. I really wish I had a chance to see them, but its a long weekend so I’ll be sure to post updates as I see them. Well, that’s it for now, more after work tonight! See you at the movies!